Today’s WoW Wednesday post is so exciting I want to jump right in! Of course I am not sure where he really gets it…. 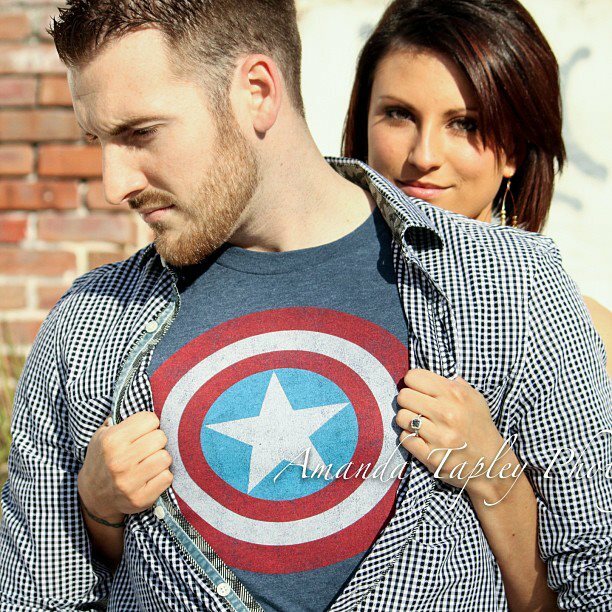 So when I find something for this superhero family I get excited! 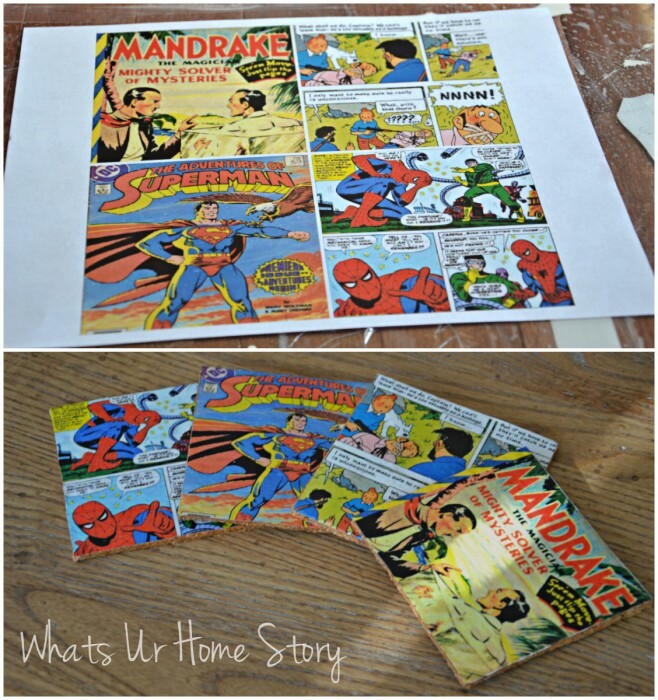 Today on WoW Wednesday I found these adorable Superhero cork coasters from Vidya at What’s Ur Home Story! I not only love the name of her blog but she has some really great ideas! She tells step by step how it only took her half an hour to make four coasters! She even uses some other prints to make some really great coasters. Check out how she did it here! Isn’t that clever? Vidya great job once again for being featured! Want to see some more WoW Wednesday posts check them out here! If you would like to be featured on WoW Wednesday please contact me on Facebook! I would love to see what you have done! Thanks so much for featuring my coasters Sandra. What a wonderful surprise this morning! Also a big thank you to all your fabulous readers who drop by my blog. You are very welcome! what a great project! 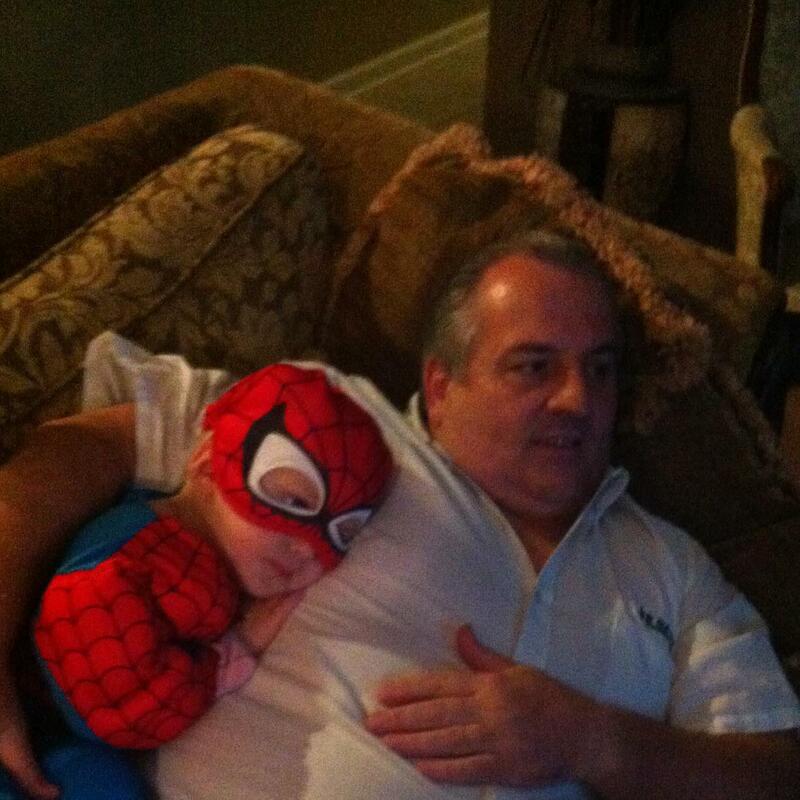 Our oldest son loved Spiderman when he was a youngster. We have some pretty funny photographs of him with his Spiderman t-shirt on, holding his Spiderman figure. Isn’t it great the innocence of childhood! I love it! Thanks for stopping by!